Planning your Easter 2019 Florida holidays? An advance booking makes sense for these busy dates. Jump to the front of the queue by booking now – wait until flights are released and it’s too late. Airlines release a limited number of cheap seats on busy Easter 2019 dates – we can pick them up the second they drop into the system if you book now. Book now for a great choice of villas – early bookers do a lot better especially in prime resorts like Windsor Hills and Emerald Island. Easter is the most popular season in Florida. The weather is fantastic – morning and evenings are cool and fresh, whilst noon temperatures can reach 80F/27C. The sunny days and clear blue skies are perfect for strolling around the theme parks or a lazy afternoon on the beach. Families in particular will appreciate the weather – the summer months are too hot and humid for children. Virgin or British Airways Easter 2019 Orlando flights direct from Gatwick, Manchester or Glasgow. British Airways Easter 2019 Tampa flights . Planning to stay close to Disney? We deal with all the communities up and down Highway 27 and Highway 192. Firm favourites are Emerald Island, Highlands Reserve, Westhaven, Champions Gate Resort, Reunion, Regal Oaks and Windsor Hills. Planning a Florida holiday for a large group is a challenge! We can take the weight off your shoulders. One half of the family leaving from Manchester and the other half from Edinburgh? No problem – we can arrange your simultaneous arrival at Orlando. We can book multiple vehicles, villas and hotels. Or we can provide a top-end 9-bedroom villa for your party of 20+. All of our Easter 2019 Florida holidays can be booked with a deposit of just £100 per person and are ATOL protected. Looking for a family holiday in a good-quality hotel? We can book your Easter 2019 Florida holiday in any on-site Disney or Universal hotel. 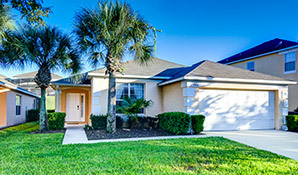 No problem if these Easter 2019 Orlando holiday offers don’t fit your plans. 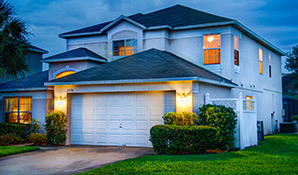 We book all types of Florida holiday. Give us your requirements on an enquiry form for a quote. Even better, call us on 01934 319 851. All our Florida holidays Easter 2019 are fully protected by both ATOL and ABTA.